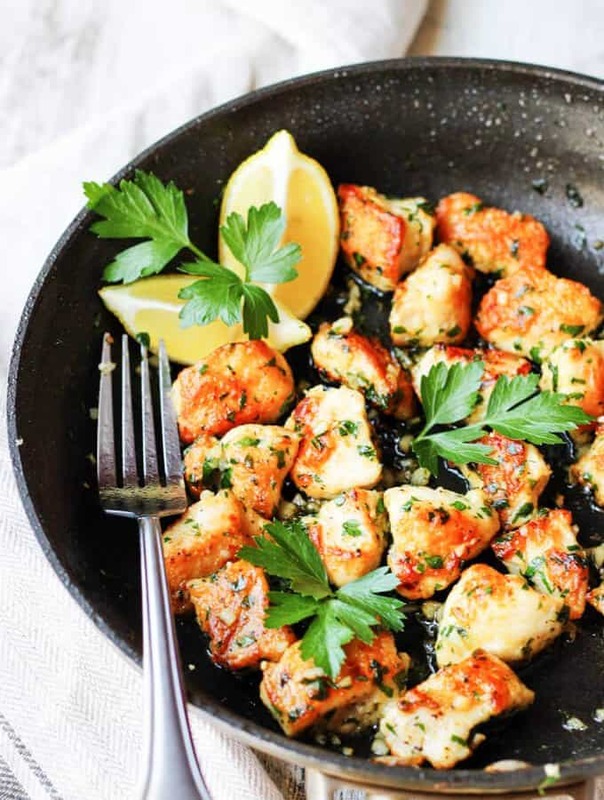 Jacques Pepin Chicken with Garlic and Parsley is a very flavorful and quick recipe for a dinner any day of the week. 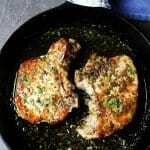 There is a secret ingredient which makes this chicken super crispy and irresistible. The summer is almost over and back-to-school time is fast approaching. I know that may mean hectic mornings, stressing about providing nutritious and fulfilling meals for your family. 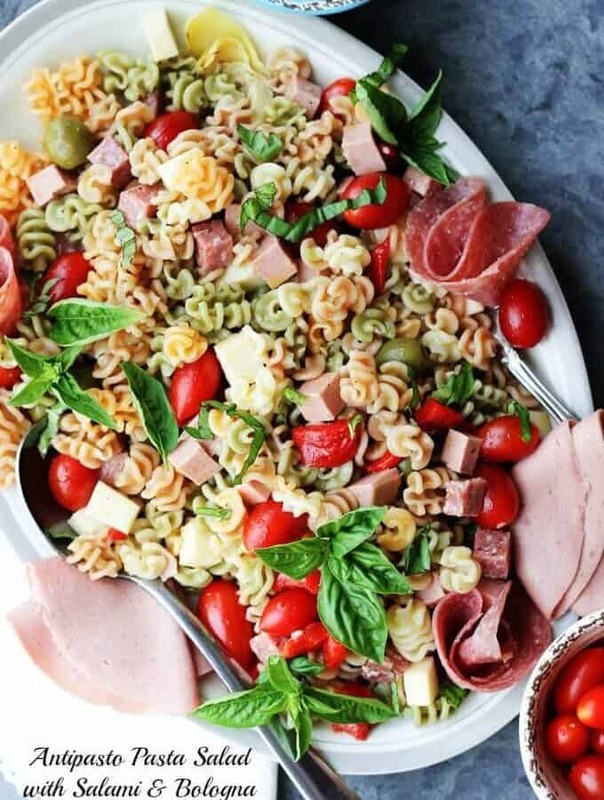 I created this Antipasto Pasta Salad with Salami and Bologna to show you that if you have the right ingredients on hand and great recipe, the meal prep can be a breeze. 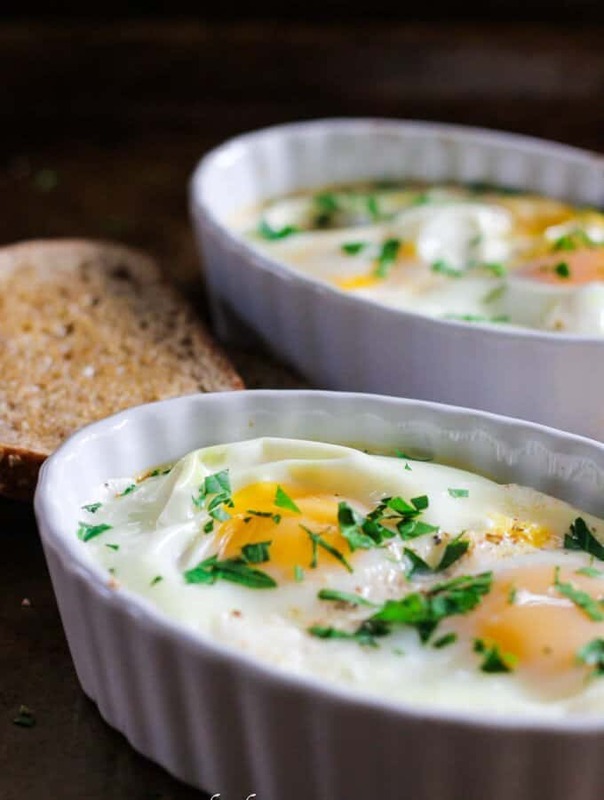 This Baked Eggs with Tomatoes and Feta Cheese breakfast dish is one of the recipes that you will come back over and over. 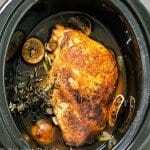 In fact I am cooking it very often since I initially posted it in November of 2014. 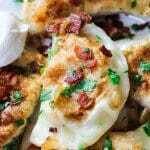 This recipe has been shared over 105K times! 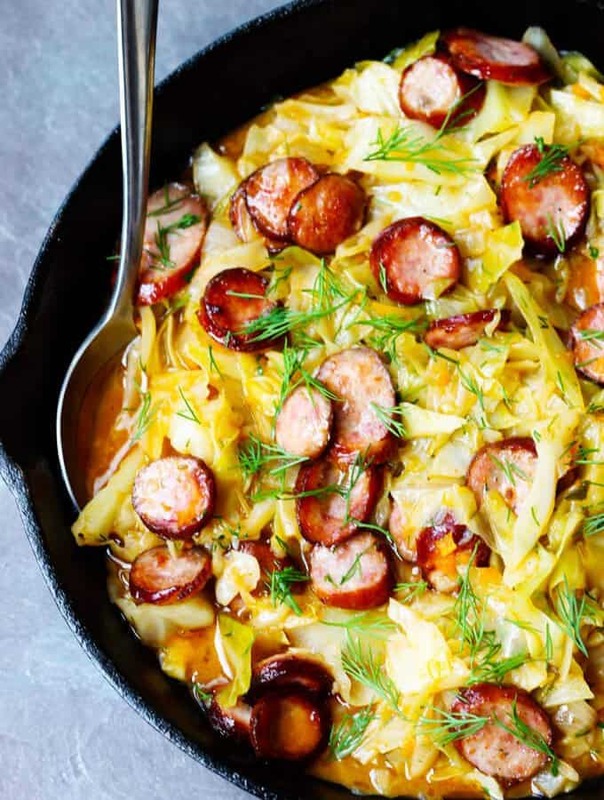 Cabbage and Kielbasa come together to form a perfect Polish summer hunter’s stew. 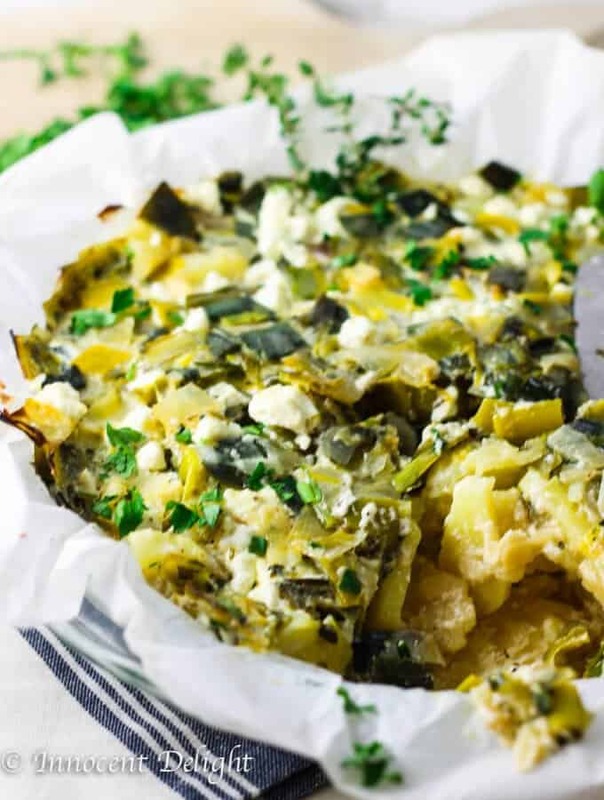 It’s made from young cabbage, that is at its peak at the begging of the summer, with the addition of a smoky Polish sausage and a fragrant dill. It makes for a delicious European treat. 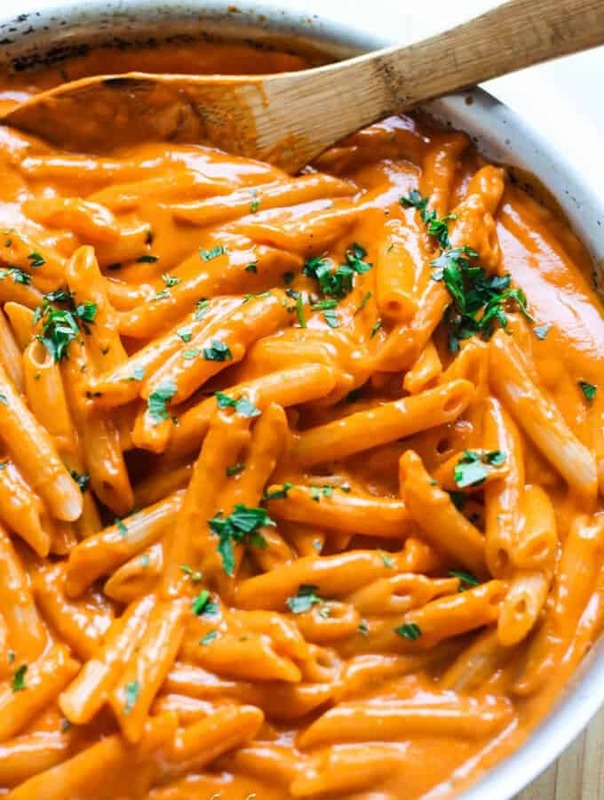 Penne Alla Vecchia Bettola – pasta recipe with Oven Roasted Tomato Sauce from the famous East Hampton’s restaurant: Nick and Toni’s, featured by Ina Garten on Food Network – Barefoot Contessa; with my little twist of using fresh tomatoes from my own garden. 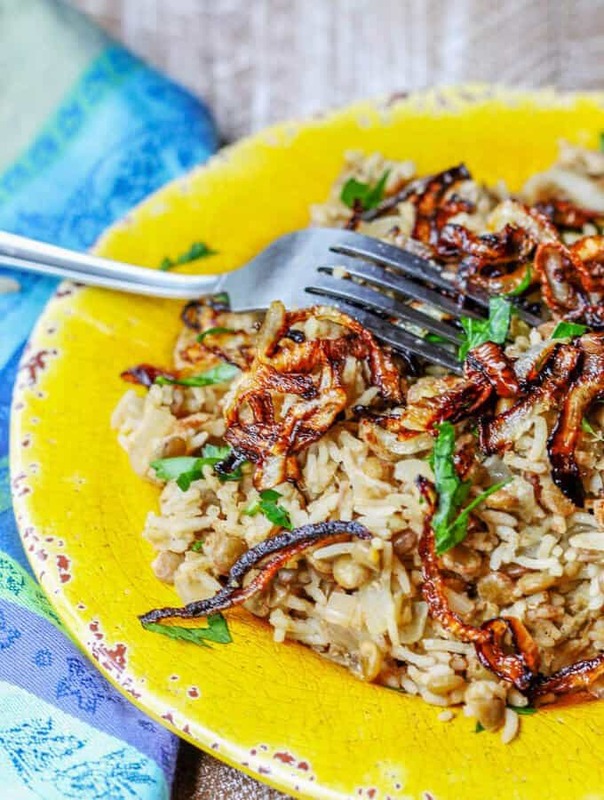 Lebanese Mujadara Recipe combines lentils with rice for a perfectly balanced protein dish. Seasoned with Middle Eastern flavors and topped with crispy fried onions, makes this a truly irresistible meal. 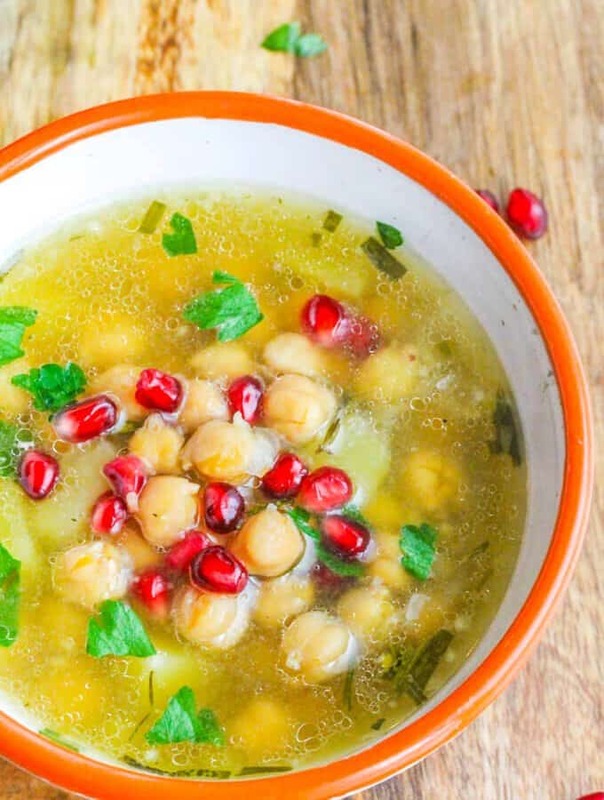 Greek Chickpea Soup (Revithosoupa) is a traditional Greek vegan soup that uses simple ingredients. This version uses canned chickpeas and it is ready in 20 minutes. 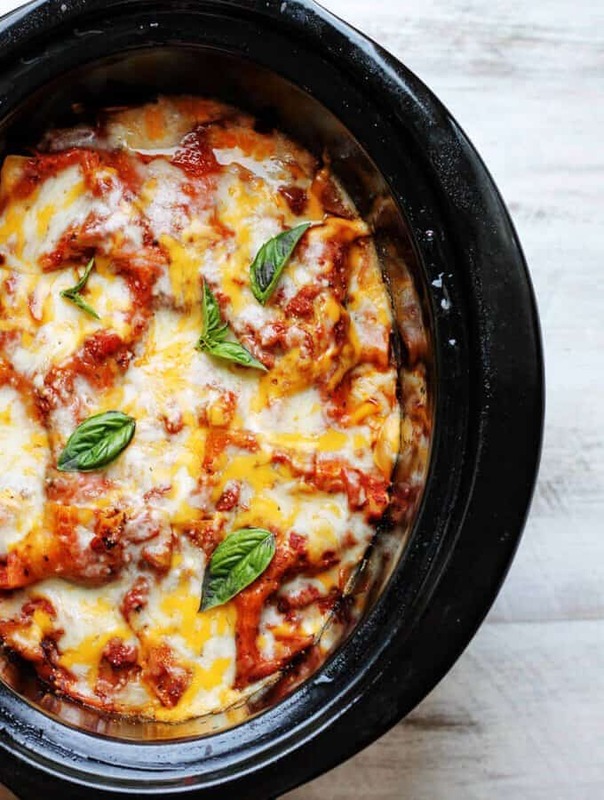 Slow Cooker Eggplant Lasagna is a perfect meal that incorporates seasonal ingredients (like ripe eggplant and fresh basil), requires minimal preparation, and is prepared entirely in a slow cooker.